For celebrity home renovator Mike Holmes and others who want to move beyond the politicking and fingerpointing consuming much of the public debate over First Nations housing, solutions lie in embracing ideas others may want to dismiss out of hand. For Canada's most famous — and outspoken — home renovator, the solution to the First Nations housing crisis is remarkably simple. "When I heard years ago the problems they were having, to me it was like, 'Oh, OK, this is easy. Why isn't anyone else doing it?'" Mike Holmes, star of HGTV's home renovation show Holmes on Homes, said in an interview. "We need to stop building crap. It's as simple as that." Holmes teamed up with the Assembly of First Nations in 2010 to create a pilot project on the Whitefish Lake First Nation west of Sudbury, Ont., to build energy-efficient, environmentally friendly homes and other infrastructure. The ongoing project also aims to develop trade skills for people living on reserves. While recent attention has focused on the grim living conditions on the Attawapiskat reserve in northern Ontario, the First Nations housing crisis extends far beyond just the James Bay community and has gone on for years. For Holmes and others who want to move past the politicking and fingerpointing consuming much of the public debate around the issue, solutions lie in the willingness to embrace ideas others may want to dismiss out of hand. Maybe we can make better choices about building materials that may initially be more expensive but last longer and won't burn or be susceptible to mould. Maybe we can consider buildings not based on a wood frame, such as steel shipping containers converted into comfortable homes. "Let's look at the building technology," says Holmes, whose ideal First Nations home would be about 1,100 square feet and built with wood and other materials that won't burn or be susceptible to mould. "I don't care if you want a box. I don't care if you want it off the ground. I don't care if you want a foundation. It's using all the products that make sense, nothing but mould-free, nothing but zero VOCs [volatile organic compounds]. This is not hard." Holmes, who is also an adviser on a 90-unit affordable housing project for seniors in Edmonton that is a partnership involving the city and the Métis Capital Housing Corporation, has no patience for any argument that his ideas will cost too much. 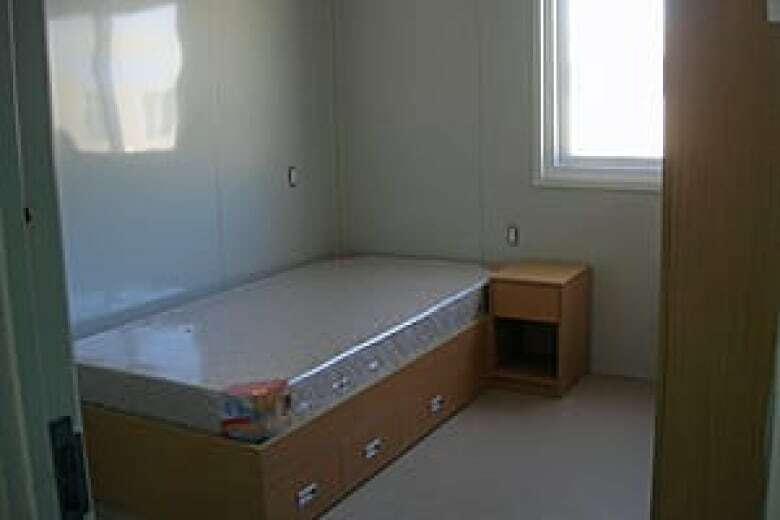 Sure, mould-free drywall might cost 50 cents or $1 more per sheet than standard drywall, Holmes concedes, but will pay off in the long term, especially considering the number of homes on First Nations reserves that need renovation only a few years after being built. More than 40 per cent of the existing homes on reserves need major repairs, compared with seven per cent off reserve, according to a government-commissioned assessment of First Nations housing. "Look at the cost of taking it down and doing it again," Holmes said. "There's no comparison." For Holmes, helping First Nations improve their housing stock extends far beyond choosing the right wood and drywall or hammering nails. "The smartest thing we can do is to teach the First Nations how to do it," says Holmes. "When they do it themselves, they have pride, and they care, and that's what I think is the missing link, not to mention just using the wrong products and building foolishly." Currently, many First Nations are forced to bring in outside contractors to build homes because there are not enough local contractors who have the necessary certification that federally funded building contracts require. Also, much of the construction on reserve is non-profit housing that First Nations leaders say is built with less care and attention to building codes and standards than more lucrative market housing off reserve. No one — least of all Holmes — suggests that the First Nations housing crisis can quickly or easily be resolved. "It's going to take time to spread out and make this right," Holmes said. "As long as they continue to just fix, lipstick or mascara, or build the wrong way, this is never going to end." South of Attawapiskat, one First Nation is involved in an alliance that could offer hope for its housing problems at the same time as creating jobs and boosting work skills for its members. "For me, obviously, the way housing is done in Canada for First Nations doesn't work," said Bobby Cheechoo, a member of the Moose Cree First Nation. "I think one of the options that should be considered is turning housing into a business." The Moose Cree First Nation and Morris Modular Space Inc. have allied themselves in a project that grew out of the need to house Ontario Power Generation workers involved in the Lower Mattagami hydro project north of Kapuskasing, Ont. 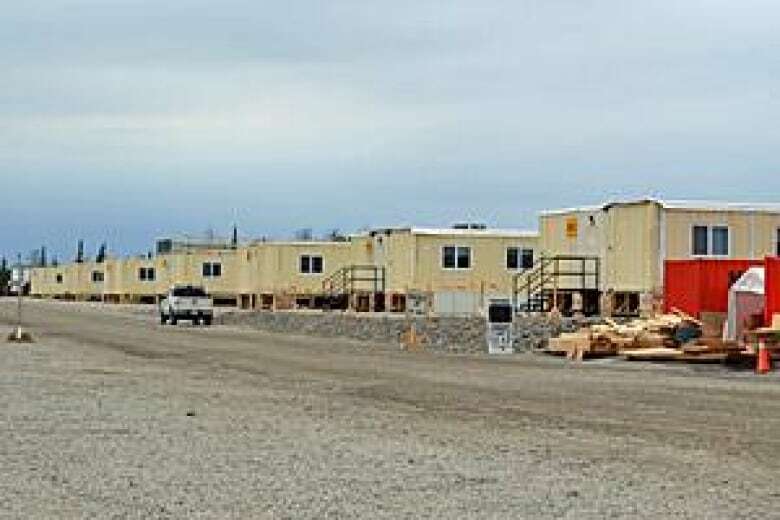 The project is on Moose Cree territory, and Morris Modular's winning 2009 bid to build the workers' accommodation included provisions for turning it into First Nations housing once the workers leave. Morris also committed to creating a partnership with the Moose Band Development Corporation to build a manufacturing facility to refit the workers' housing into permanent homes. The facility, which will be in Cochrane, about 120 kilometres southeast of Kapuskasing, will also manufacture ArmourWall structural insulated panels that are used in building construction, including homes. Eventually, the facility, which is due to open in early 2012, could create up to 25 jobs for First Nation members. But what particularly sets the Moose Cree project apart is the form the housing takes: dwellings inside converted steel shipping containers. "Building more wood-based houses that are going to burn down or be filled with mould again isn't a good option for anybody," says Steve Marshall, vice-president and general manager of the Sudbury-based Morris Group of Companies. "These are true and proper solutions to the crisis. It creates employment. It's their own community building their own homes. They profit by it, and the homes are far better quality." The Morris Group has also had discussions about possible similar collaborations with the Attawapiskat First Nation and other communities. Marshall says the only drawback to the idea of using converted shipping containers for housing is the stigma associated with it. "A lot of it is just the mentality of people saying, 'How could you live inside a ship container?'" said Marshall. "Well, you're not. You would never know." Marshall says the shipping container really only replaces the shell of a home that is traditionally built with wood. The steel frame is highly resistant to fire and won't allow mould to develop, and inside, the home is comfortable. "They're safe units," Marshall said. "They're thermally efficient. These homes have longevity. They don't break down. They don't come apart in the same way." If the full Lower Mattagami camp is converted into First Nations housing, within four or five years, it will provide 90 two- to three-bedroom homes. The homes will range in size from 900 to 1,300 square feet. Cheechoo welcomes the alliance with Morris Modular. "If our vision is realized, for example, we would have our own people building these different methods, [and be] expert and efficient at it," he says. But it doesn't necessarily come easily. "I'm not afraid to say we've encountered challenges with our First Nation in trying to change the mindset that exists there … to think outside the box," Cheechoo said. But he sees hope for changing that mindset, particularly among younger generations. "For our generation and the one before, it's tough to think beyond the wood," Cheechoo said. While there is the challenge of thinking outside the box and the potential positives that new ideas can bring, there is always an accompanying risk that new ideas won't work as envisioned. "Often, what seems like a good idea from some southern expert runs into problems under the conditions of the far north," said Donald Johnston, senior director of technology and policy for the Canadian Home Builders' Association. "It takes refinement over the years, and it's really important to build on the knowledge of people who have experience in the North, not to make the same mistakes over and over again." Johnston isn't sure how much further ahead use of shipping containers would push housing construction in northern areas. "I often think if we don't see them in less abusive environments in Canada, why do we expect unproven technologies to work under adverse conditions? So, I take the best of what we've learned and use it on the frontier." For him, that means wood-frame technology, with low-maintenance materials, strong durable finishes and heavy-duty hardware. At the University of Alberta in Edmonton, one professor spends much of his time focused on the engineering around building construction that is done off-site in a factory, with the pre-fabricated components moved to the location in question for assembly. Mohamad Al-Hussein has been involved in a range of residential projects across North America and has visited First Nations communities around Edmonton. "I ask that people challenge me," said Hussein. "You put the challenges up front. The industry — there's quite a bit of knowledge in Canada. "We don't harness this power of these people. When I work with these companies, I tell them: 'Raise the bar. Challenge me, and challenge everybody around me. You'll find out there is a solution for any challenge you have.'"